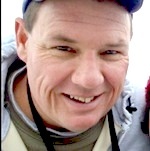 Brent Allen Lawrence, 51, of Edgerton, KS passed away Feb. 9, 2016. Funeral Service will be held 11:30 am Sat., Feb. 13, 2016 at Bruce Funeral Home, Gardner, KS. Burial with Military Honors following the service at Gardner Cemetery. Visitation 10:00 am also at the funeral home before the service. Memorial contributions may be made to the Gardner American Legion. Brent was born Sept. 16, 1964 in Olathe to Dale Jason and Naomi Lucille (Kenton) Lawrence. He grew up in Gardner where he graduated from GEHS in 1983. Brent attended JCCC. He served in the US Army in Germany from 1984-1986 as a gunner and tank driver in the “Bravo Bandits” unit. Brent married Kimberly Schaefer on July 16, 1992 in Spring Hill, KS. They moved to Edgerton in 2013. He worked for many years as a road construction inspector for Anthony Construction Co and was an independent truck driver for Spec on the Job. Brent was a member of the First Baptist Church of Gardner and the Gardner American Legion. He will be missed by family and friends. He was preceded in death by his parents. Brent is survived by his wife, Kim, of the home; daughter, Emily and husband Matthew McCleary, Belton, MO; son, Wade Lawrence, Edgerton, KS; siblings, Kent Lawrence and wife Katherine, Edmund, OK, Brenda K Saville, Coralville, IA; Diane and husband Mark Zoeller, Coarsegold, CA, Jeanne Greenfield, Lakewood, CO and Larry Lawrence and wife Jeanette, Monument, CO and grandchildren, Zoey, Isaac and Caleb.